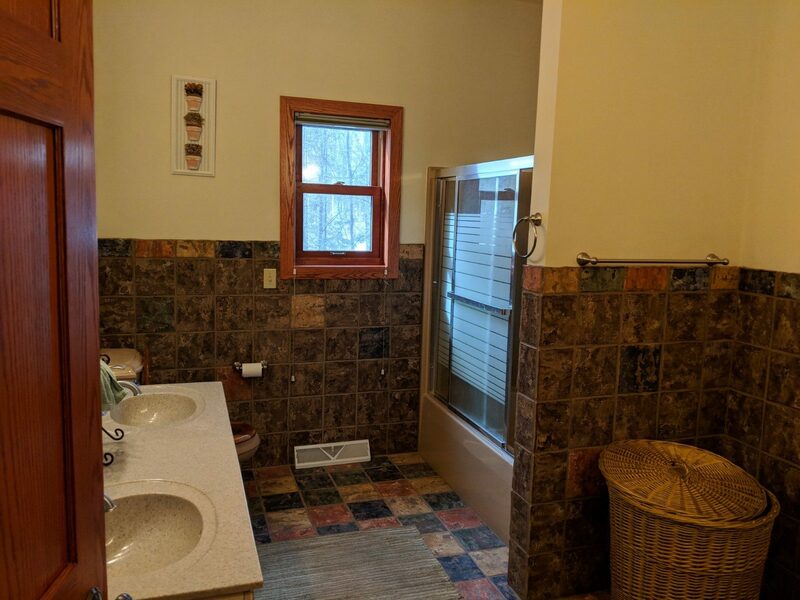 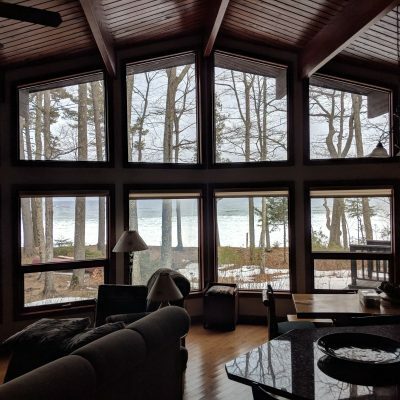 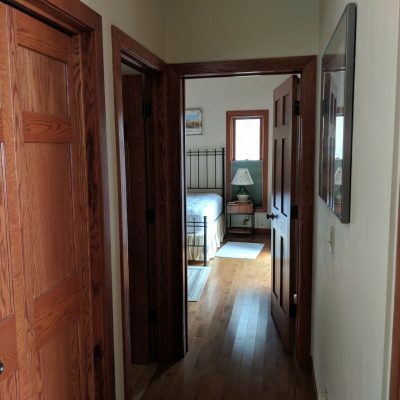 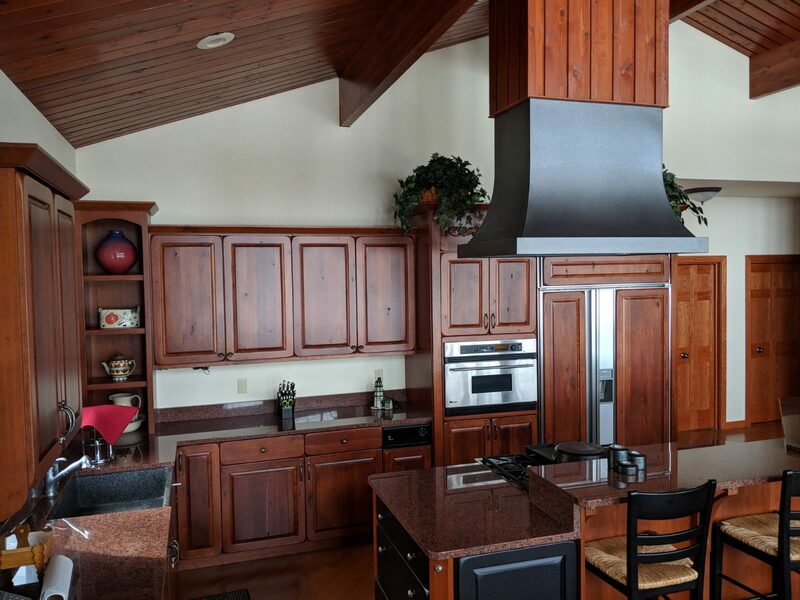 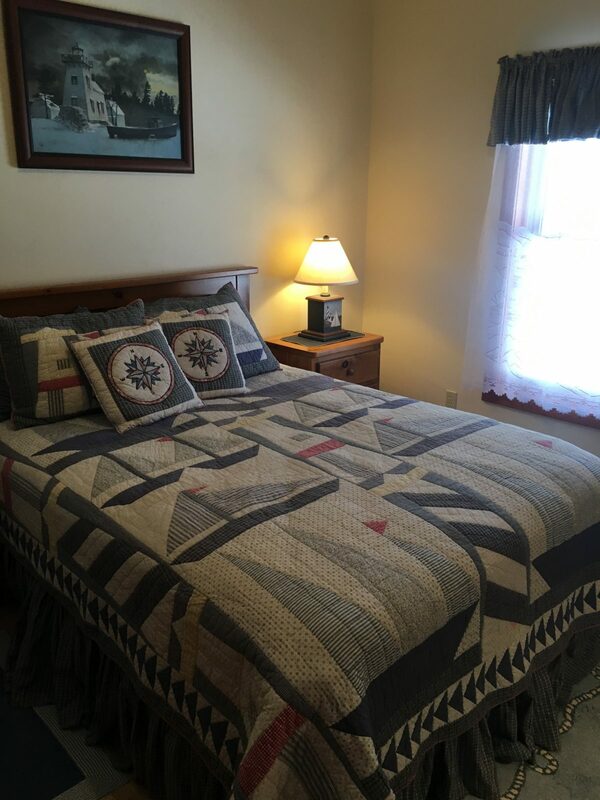 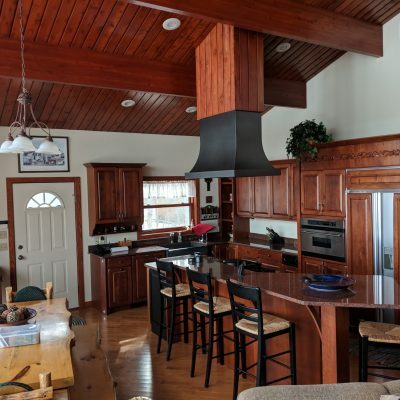 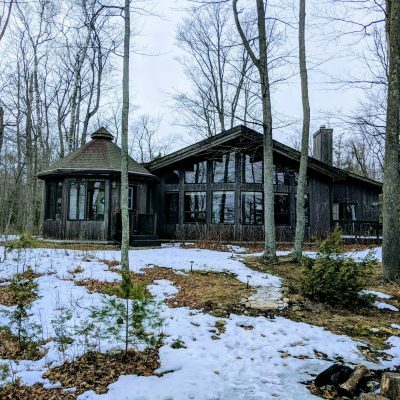 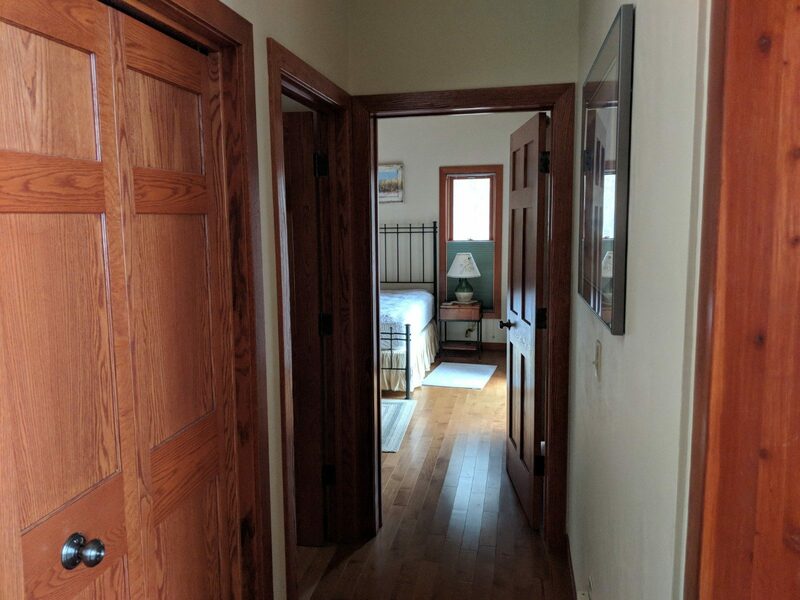 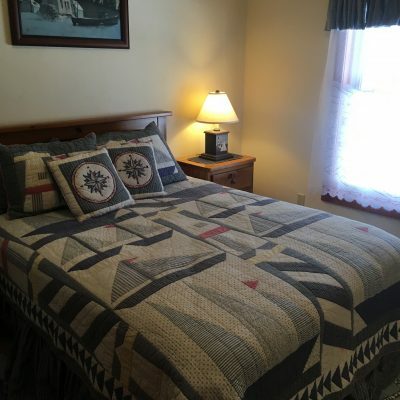 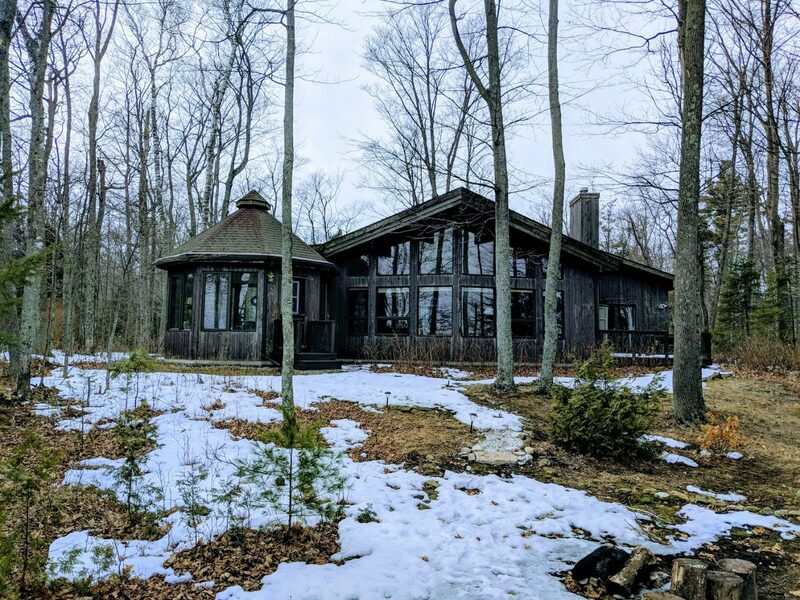 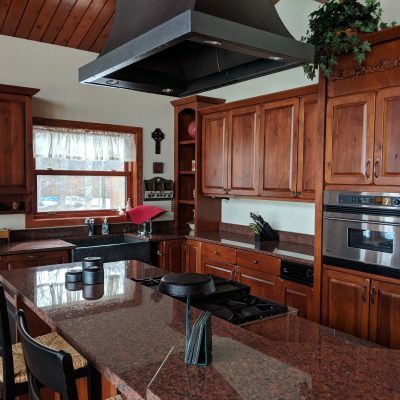 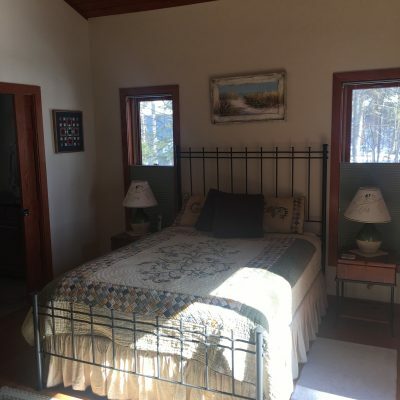 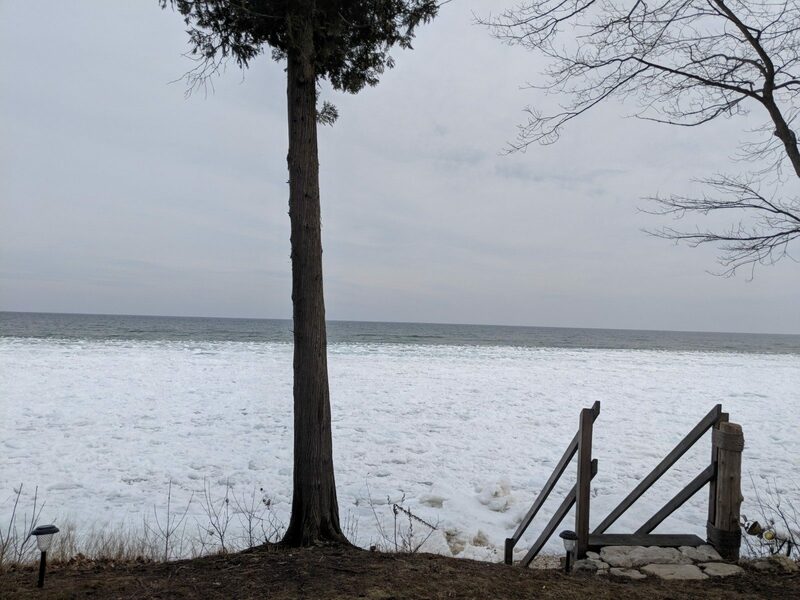 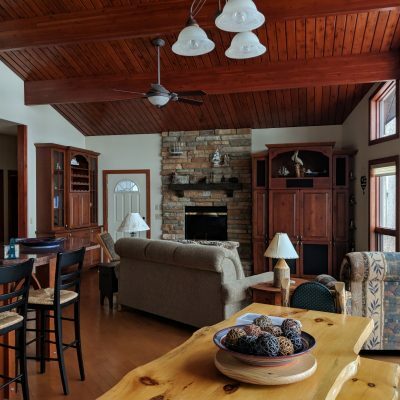 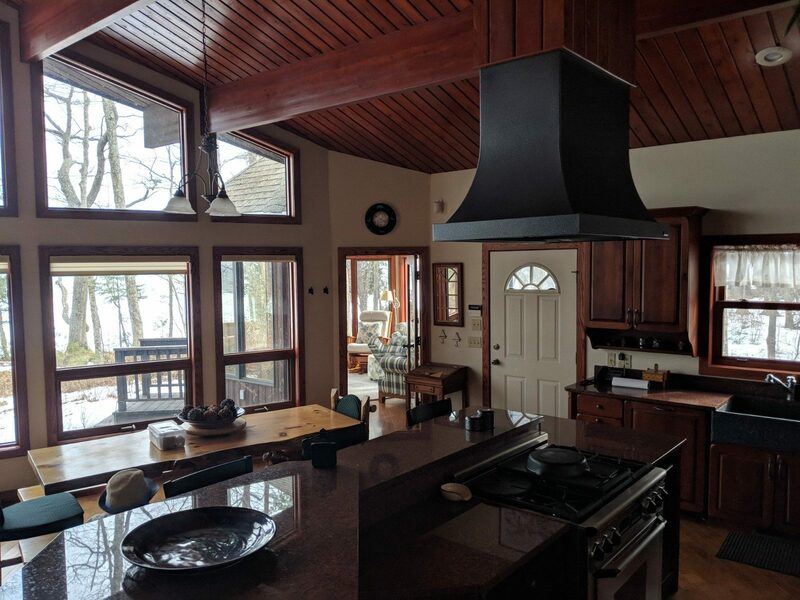 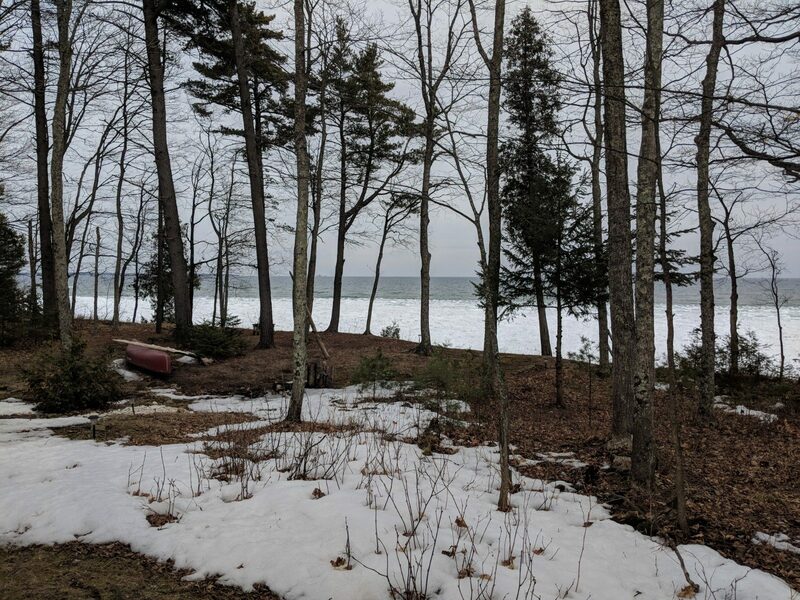 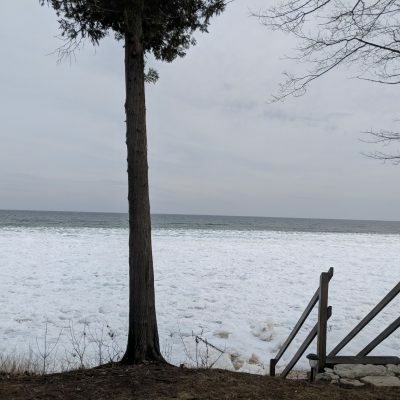 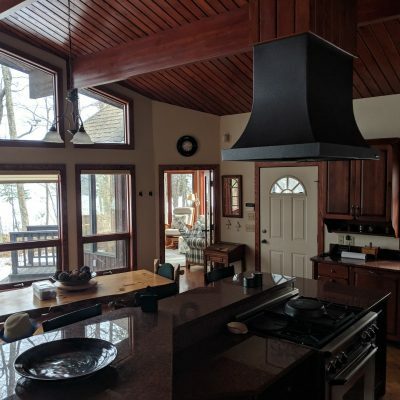 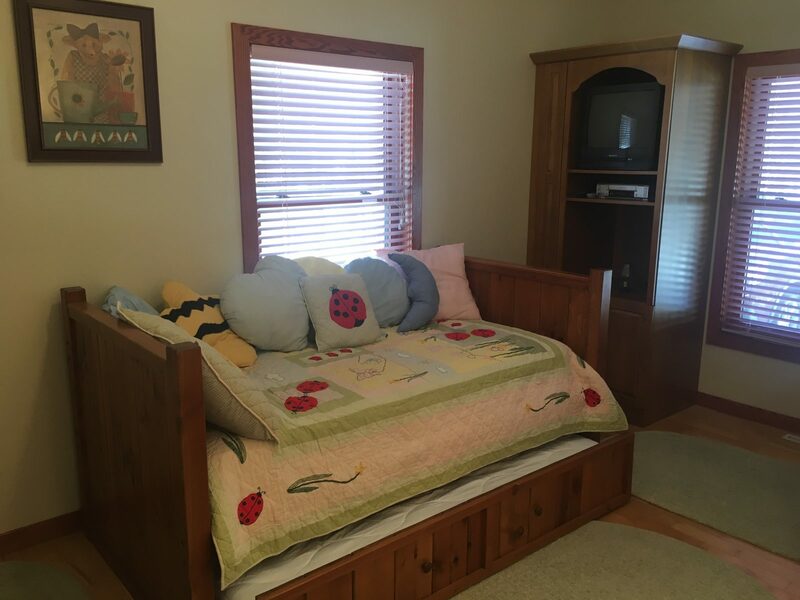 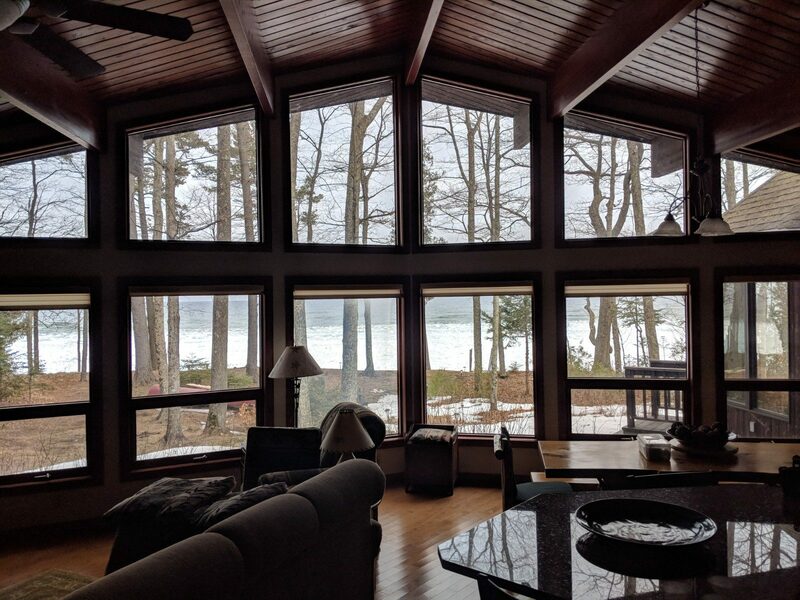 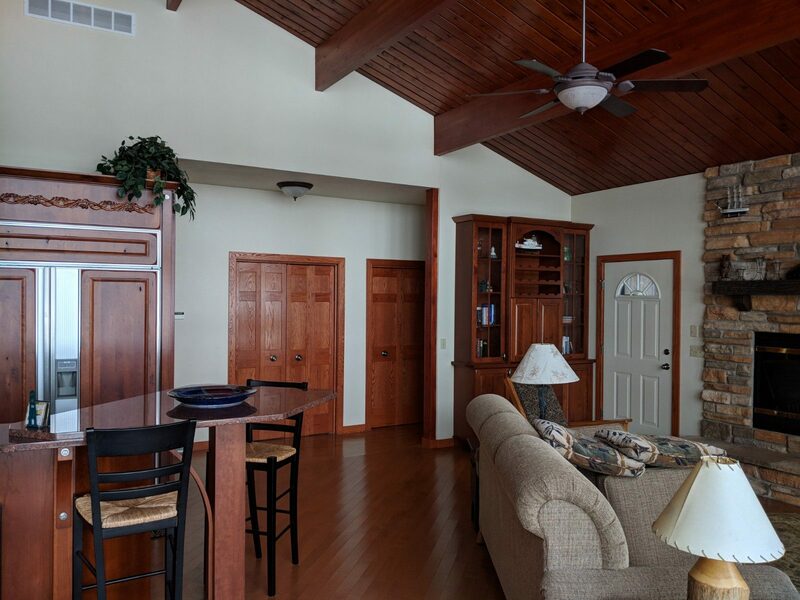 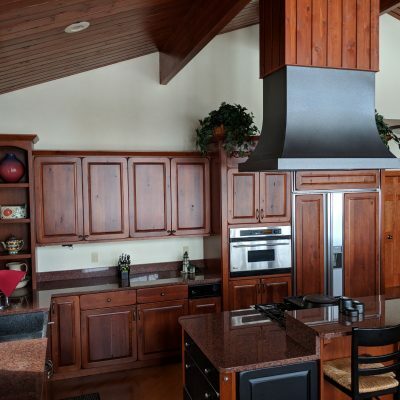 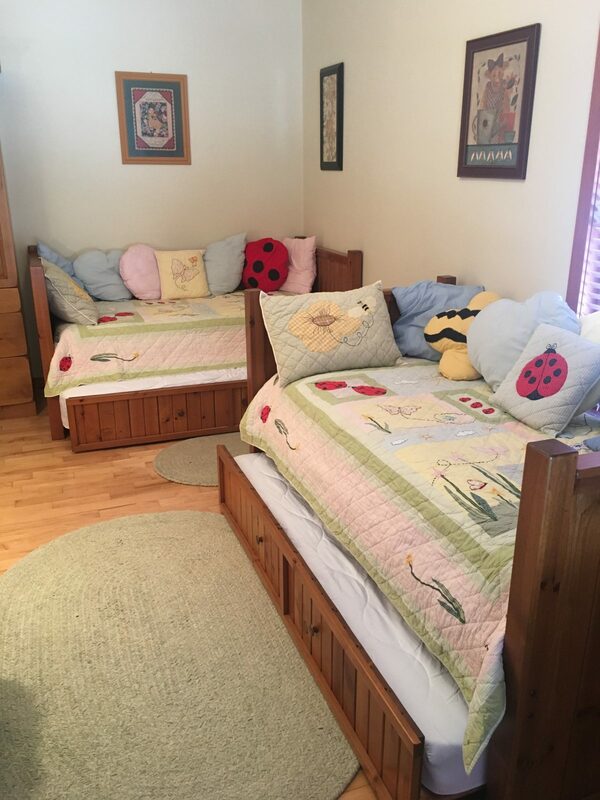 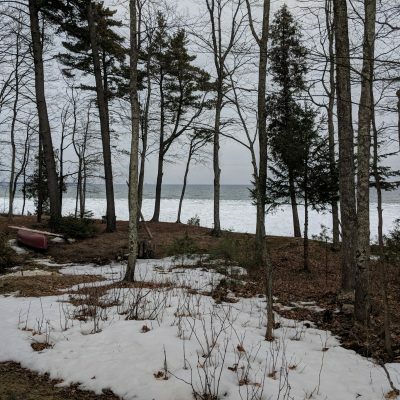 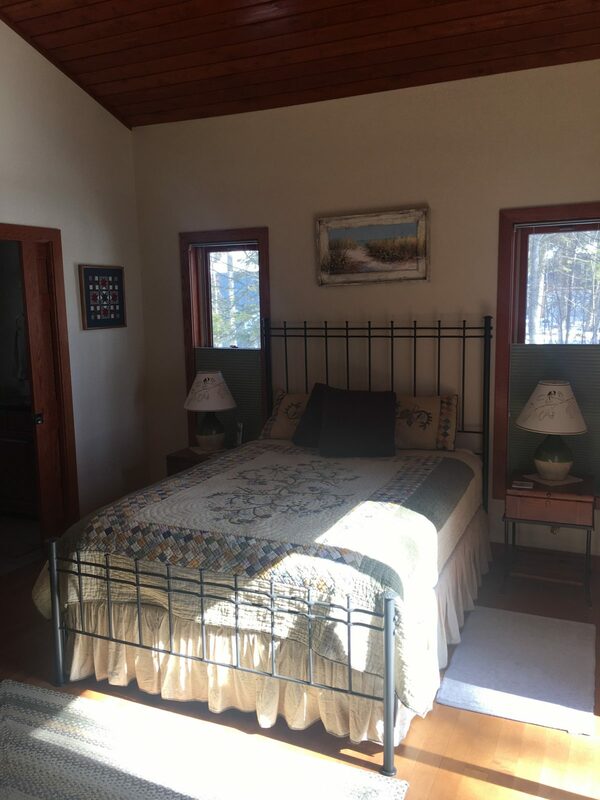 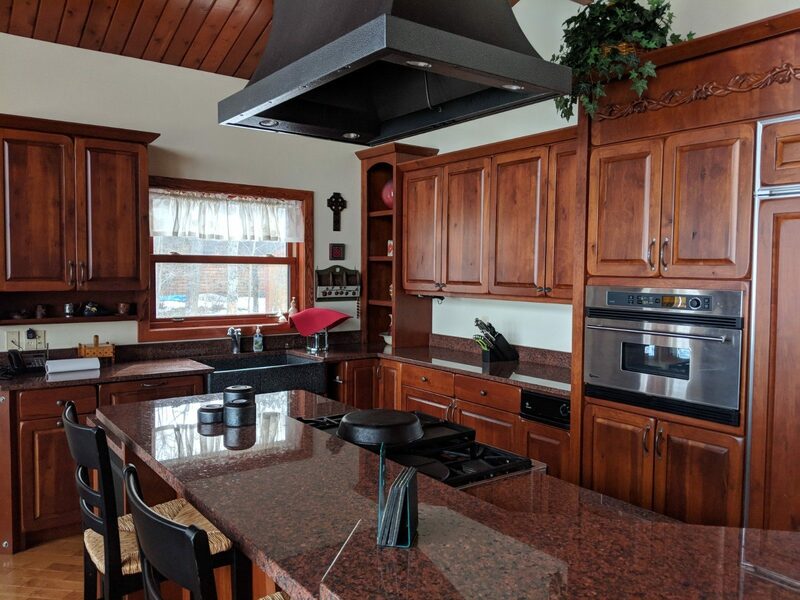 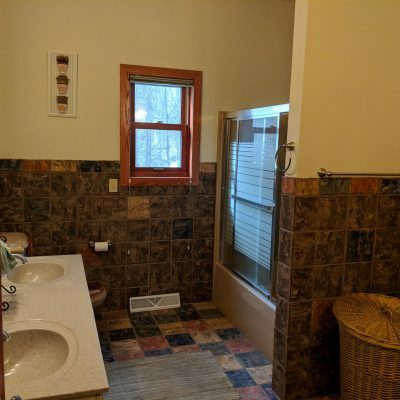 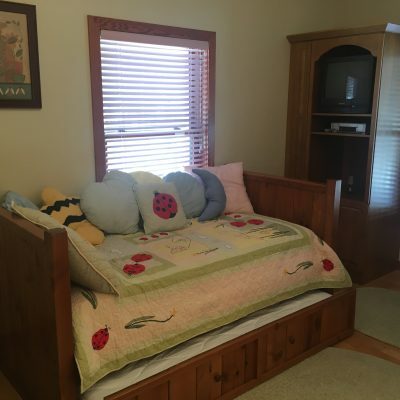  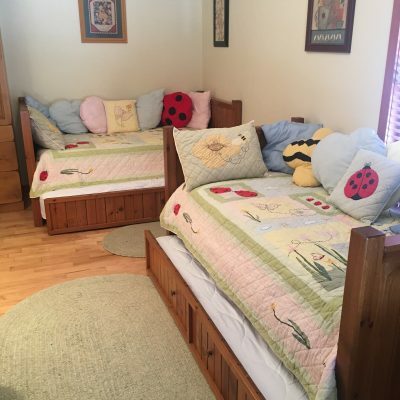 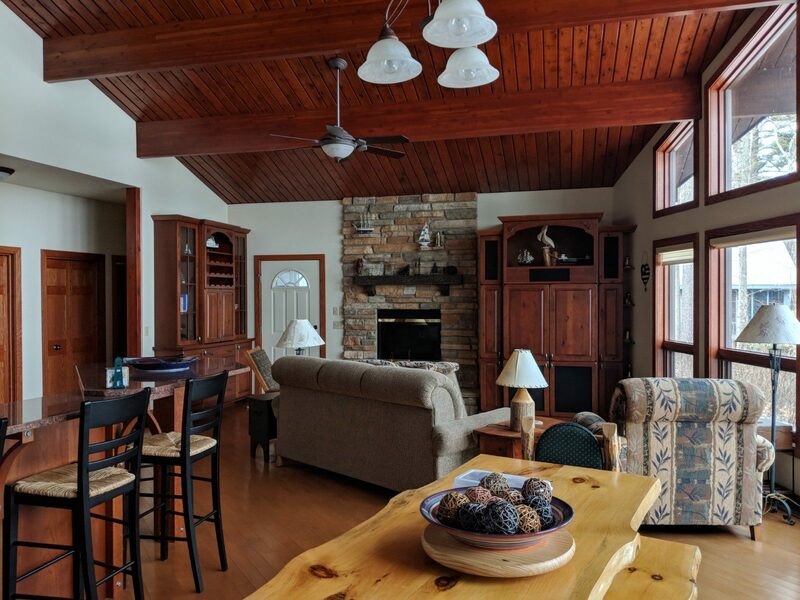 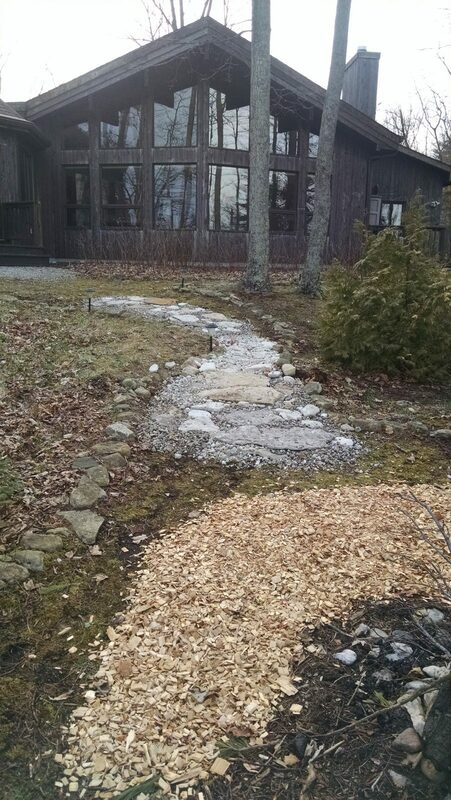 Ellison Bay Vacation Rental Home-Lundquist Realty & Vacation Rentals, Inc.
Beautiful and rich in Door County charm this home makes a desired rental. 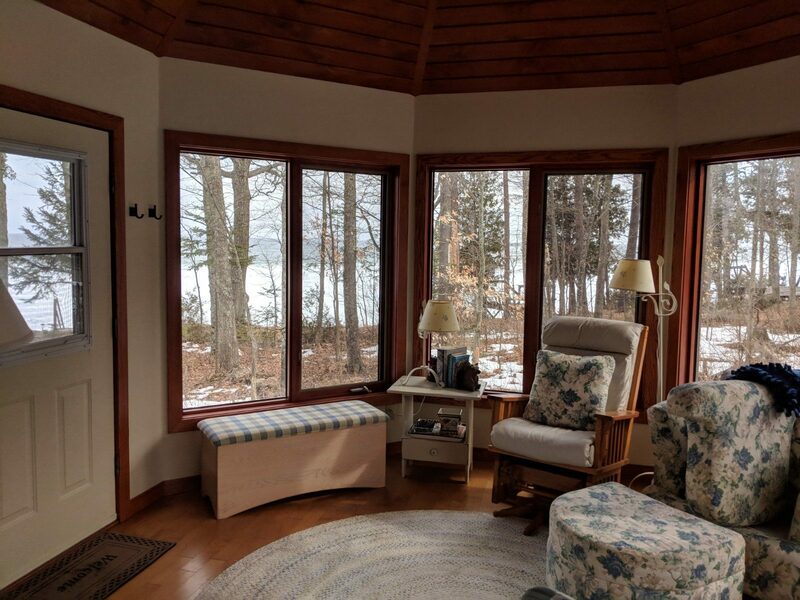 Nestled on a lovely Northern Door road for relaxation. 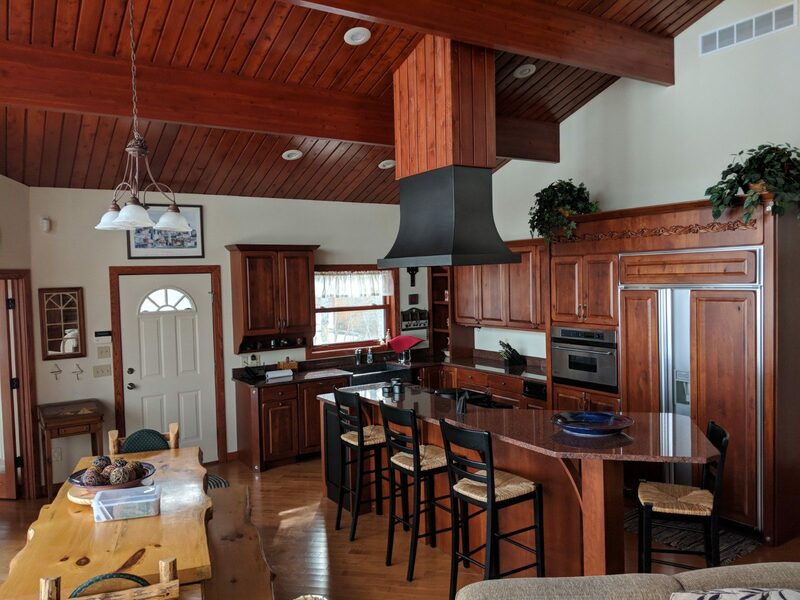 Rich wood vaulted ceiling, flag stone fireplace and open living room with deluxe kitchen makes for a wonderful gathering spot for family and friends. 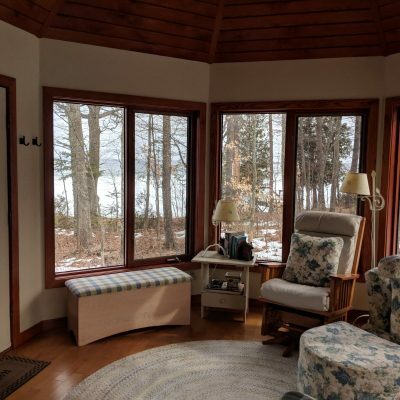 Get away from the hussel and bussel to relax, read or just do nothing! 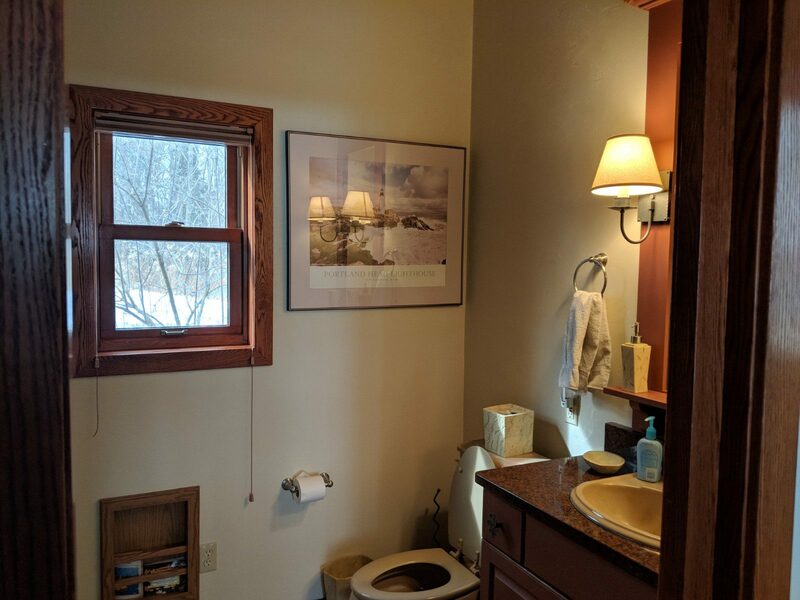 No TV or satellite available. 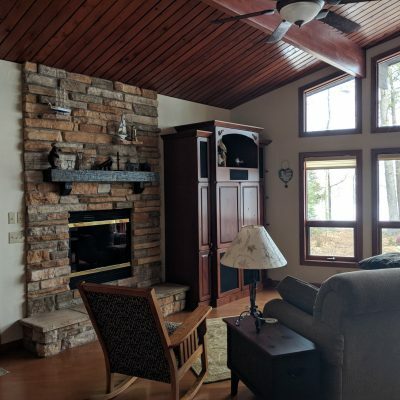 Come enjoy the window lined waterfront view or cozy around the fire pit. 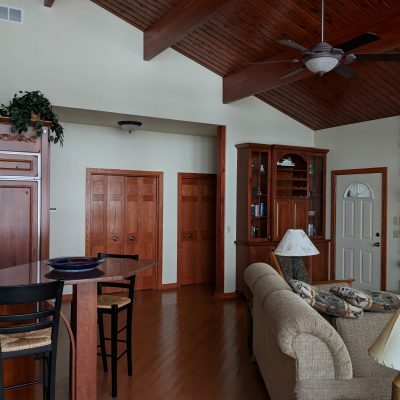 Not far from Newport State Park, Europe Lake and the Shoreline Restaurant. 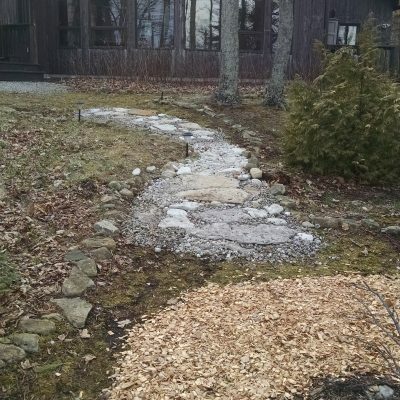 Scenic walking road to enjoy. 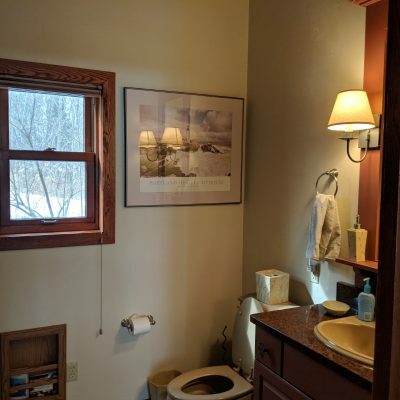 Additional: No TV or Satellite. 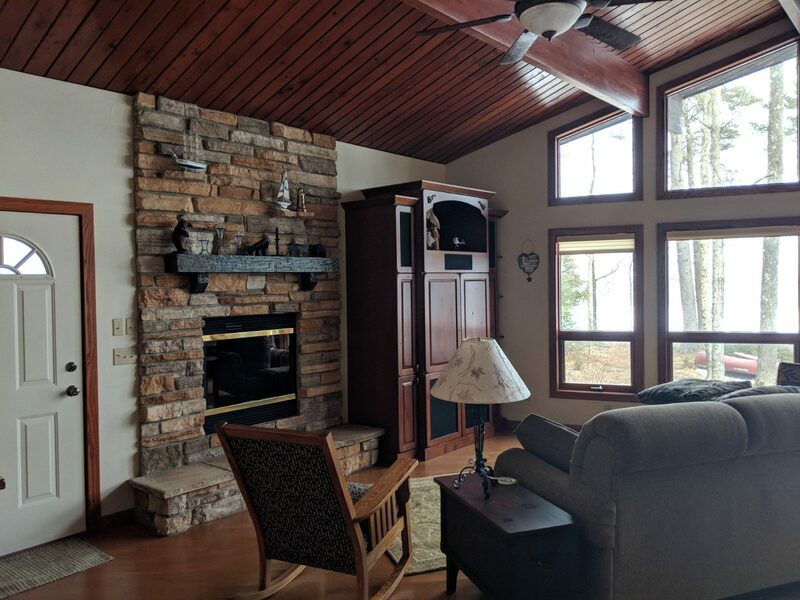 Has books & DVDs, DVD, VCR, CD radio, iron and ironing board, ceiling fan in great room, floor fans, Fire pit, Charcoal grill, patio, all one level home.